Have you recently noticed a change in your eyes or your vision? Although some ocular conditions may be more obvious to treat, others may not have any visible signs or symptoms. To make sure that your eyes are in their optimal condition, make sure to come into Valley Eyecare Center for a regular eye exam! 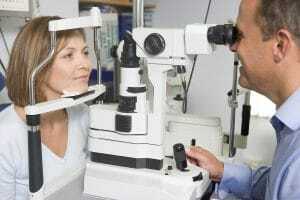 Low vision—Low vision is a condition in which a person loses a certain amount of eyesight. Everyday tasks can become difficult to complete with this ocular condition. Although most people who have trouble seeing can regain their vision with medication, surgery, glasses, or other options, people with low vision cannot regain their sight and will experience permanent vision loss. Color blindness—Despite its name, color blindness does not mean that you are actually blind; you simply have a deficiency in the way you see color. Although seemingly obvious, some people do not know that they are color blind until they receive an eye exam that tests for this condition. The most popular form of color blindness is red-green, in which these two colors are often confused for each other. Cataracts—A cataract is generally categorized as a clouding of the eye’s lens, which lies directly behind the pupil. Cataracts are most often found in people who are 50 years or older. About half of the population suffers from a cataract by the time they are 65 years old. Discovered by an optometrist during an eye exam, cataracts can be treated through a surgery that will restore your vision. Glaucoma—Glaucoma is a condition that increases pressure within the eye, and it can eventually cause a gradual loss of vision. Although there is no cure for glaucoma, your optometrist may recommend certain eye drops to help you maintain your current level of vision. Make sure that your eyes in proper health by coming in for an eye exam! To learn more about ocular conditions, or to schedule an appointment with an optometrist at Valley Eyecare Center, call (602) 955-2700, or visit our website.